For its October agency tasting, the Mo’ Wine Group welcomed the personable Vadim Fonta, whose currently nameless wine agency – unofficially Agence sans nom – is usually referred to by his name. A couple of years ago, Vadim gave up a career in finance for one in wine, a field he felt far more passionate about. His primary focus is on a niche not particularly well represented in Quebec: organic, biodynamic and natural wines from Slovenia, the Balkans and eastern Europe as well as Italy, especially the northeast. Once again the wines weren’t exactly in flights, though I’ve arranged them into such for reporting purposes. The estate, which has 10 hectares of vineyards, is located a short distance from the Slovenian border. The family has been making wines for more than three centuries though Keber’s first bottled vintage was 1957. This, the only wine it makes, is a blend of Friulano (aka Sauvignon Vert, usually around 70%), Malvasia and Ribolla Gialla from organically farmed vines averaging 40 years old and rooted in “ponka” – poor, stony, friable marl – soil. Manually harvested. Direct pressed (no skin contact). Fermentation in stainless steel tanks with selected, non-aromatic yeasts lasts three to four weeks. 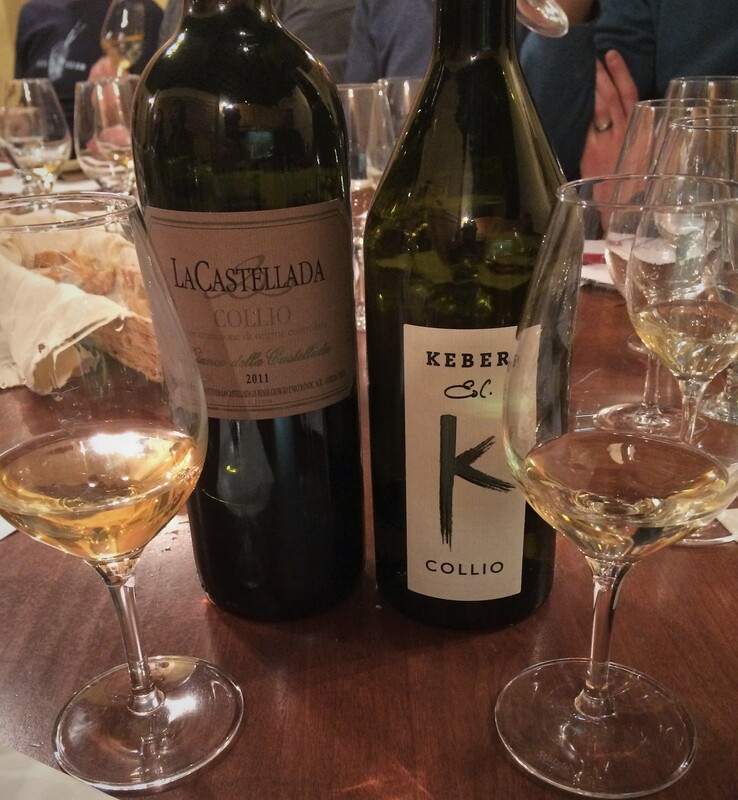 Matured one year in concrete tanks except for 20% of the Friulano, which spent six months in neutral tonneaux. Clarified by settling and fining with bentonite. Total production: 60,000 bottles. 13% ABV. Quebec agent: Vadim Fonta. Founded in the mid-1950s, the estate is located in Oslavia in the Gorizia hills close to the Slovenian border. A blend of Pinot Grigio (50%), Chardonnay and Malvasia from organically farmed vines averaging 35 years old rooted in ponka (see above). The Pinot Gris was direct pressed; the Chardonnay and Malvasia were macerated on the skins for four days. Spontaneous fermentation. Matured one year in stainless steel, one year in 200-litre Slavonian oak barrels, one year in neutral oak barrels and one year in the bottle. Unfiltered and unfined. 14% ABV. Quebec agent: Vadim Fonta. 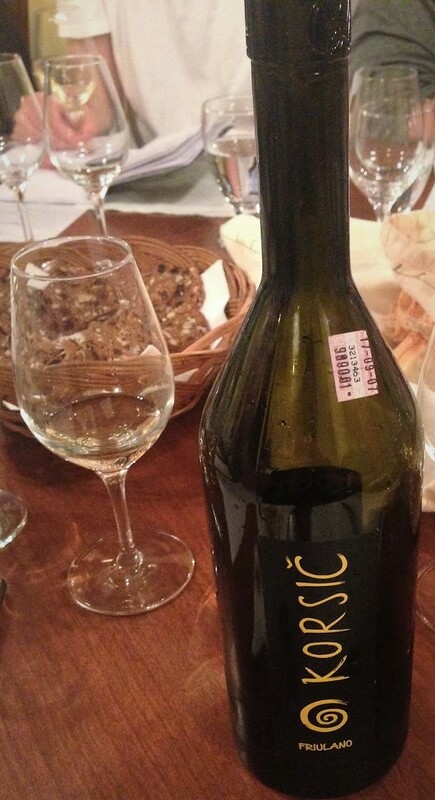 Though the Korsič family has lived in the village of Gaisbana in San Floriano del Collio, near the Slovenian border, for nearly two centuries, the winery proper was founded in 1976. Run by Rodofo Korsič, it has 10 hecatres of land and seven vineyards. The grapes for this 100% Friuliano (aka Sauvignonasse, Tocai Friulano and Sauvignon Vert) come from biodynamically farmed vines averaging 30 years old. Manually harvested. Sees only stainless steel until bottling. The strikingly shaped bottle is designed to use less glass and smaller corks than usual. 13.5% ABV. Quebec agent: Vinealis. A traditional method sparkler made from a 50-50 blend of Menu Pineau (aka Arbois) and Chardonnay from Cheverny. 12% ABV. Quebec agent: Mon Caviste. 100% Glera from organically farmed vines. The estate is based in Tuscany but, per appellation rules, the grapes for this wine were grown in the Veneto and Friuli-Venezia Giulia regions. The grapes are direct-pressed and the juice immediately separated from the skins. After alcoholic fermentation, the wine is translated to airtight stainless steel tanks for low-temperature secondary fermentation using the Charmat method. Under three bars of pressure. Flip-top stopper. Residual sugar: 14 g/l. 11% ABV. Quebec agent: Mon Caviste. 100% organically farmed Ribolla Gialla. Manually harvested. The grapes were destemmed, then placed in neutral Slavonian oak vats (no temperature control) for maceration and fermentation with indigenous yeasts and manual punch-downs three or four times a day. When alcoholic fermentation was complete, the vats were topped up and closed. In all, the wine remained in contact with the skins for between three and four months. The grapes were gently pressed and the wine racked into neutral 25- to 35-hectolitre Slavonian oak barrels for about 40 months. Further racking was performed as needed. No added sulphur, no filtering, no fining. Reducing sugar: 1.7 g/l. 13.75% ABV. Quebec agent: oenopole. 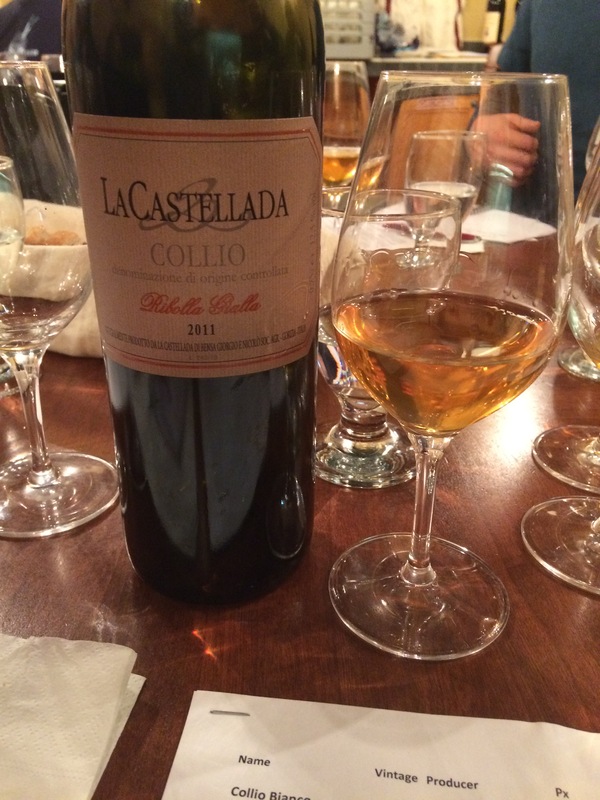 The wine’s balance and structure make it a candidate for aging. 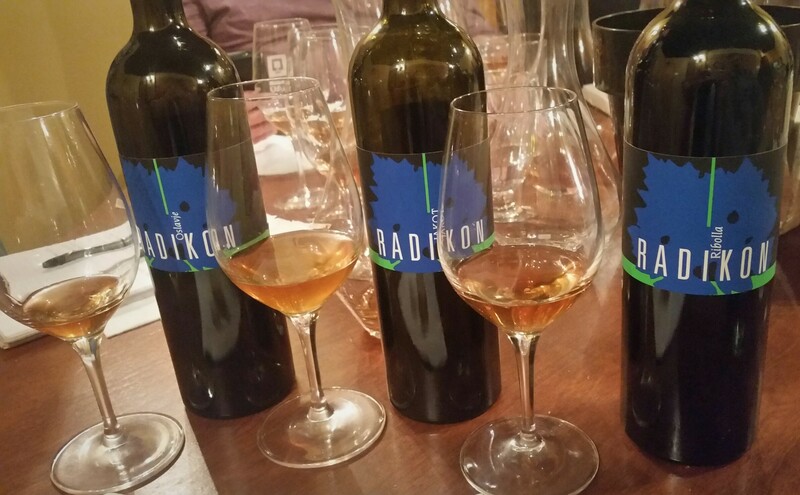 And age well these wines do: opened last winter, a bottle of the first Radikon wine available in Quebec, the 2002 Oslavje (a blend of Chardonnay, Pinot Grigio and Sauvignon Blanc), was a thing of beauty – perfectly at peak, tannins resolved, sweet and savoury and, against all expectations, totally funkless. The wine comes in 500 ml bottles because Stanko Radkion feels that 500 ml is the ideal amount of wine for one person to drink by himself or for two people to share, assuming they’ll also share a 500 ml bottle of red. Convinced that using a standard cork would allow too high a rate of oxygen exchange, he designed his bottles to have smaller bore necks that take very long, narrow corks. A member of the Refosco family, Terrano is an ancient grape variety grown mainly around the northeastern Adriatic in Croatia, Slovenia and a sliver of Italy that includes Trieste, whose basic red wine it makes. 100% Terrano. While the estate isn’t certified organic, it uses no synthetic fertilizers, pesticides or herbicides in its vineyards. The grapes for this wine where manually harvested, crushed and macerated on their skins in open vats for four weeks, with four punch-downs a day and no temperature control. Alcoholic fermentation was spontaneous, with ambient yeasts. 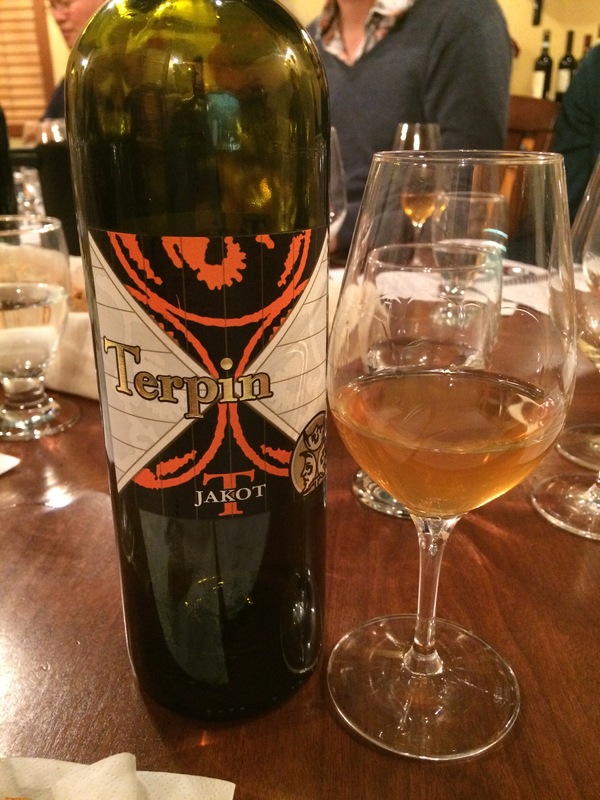 The wine was transferred to large oak barrels for malolactic fermentation, then to a mix of medium and large Slavonian oak barrels for approximately 20 months’ maturation. Bottled unfiltered, unfined and with a small dose of sulphur. Total production: 4,000 bottles. 12% ABV. Quebec agent: La QV/Insolite.